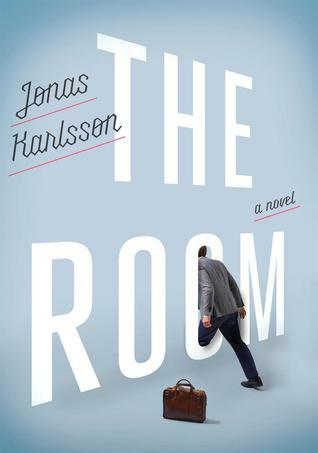 The Room by Jonas Karlsson is a mysterious short novel that questions the nature of reality in the most mundane of office settings. Philosophers have always questioned the nature of reality, whether it was Plato who reduced the world to flickering shadows in a cave or Jean Baudrillard’s provocative claims that our modern age conceals “the fact that the real is no longer real.” Even though we take the concept of reality for granted on a daily basis, we constantly navigate shared illusions. A character in The Bone Clocks by David Mitchell sums it up well: “Civilization’s like the economy, or Tinkerbell: If people stop believing it’s real, it dies.” In The Room, Karlsson explores the shared illusion of the office. The novel is told through the perspective of Björn, an employee recently transferred to the Authority, an enigmatic government agency. While not a likable character, Björn is certainly a memorable character, confident of his abilities and ready to storm the open-plan office with the aim of advancing his career and quickly jumping up ladder rungs. However, the reader soon begins to question Björn’s reliability, not only because his inner monologue seems to be filled with hubris, but because his coworkers respond to him so strangely, as if they sense something’s not quite right with him. Björn is obsessed with the eponymous room from page one. Troubled by the open floor plan of his office, particularly because he has to share a desk with a coworker whose advancing papers threaten to spill onto Björn’s side, the room is the only place where Björn has the privacy to sit in quiet contemplation and actually complete some of his work. However, it’s not long before Björn discovers a problem with the room: he is the only one who can see it. “I simply have to assume that one of us is lying.” Björn states at one point late in the novel, when his investigations into the nature of the room seem frustrated. “Because I know that I am telling the truth, I draw the conclusion that the rest of you are telling untruths.” Given our limited perspective inside Björn’s head, Karlsson ingeniously presents many aspects of the story in a way that leaves it up to the reader to determine what’s really happening. It’s a novel about truth, subjectivity, and the illusions we live with every day, but it also presents situations so absurd that it’s impossible not to laugh. As Björn develops his own system for working he becomes so focused on his own idea of his work that he doesn’t realize the negative effects that could come from ignoring the social cues his coworkers expect of him. Björn describes himself as “The person who had dared to break the pattern and think along new lines,” but he doesn’t understand that one aspect of the illusion of the workplace is to pay attention to fragments of the outside world such as complementing the family pictures on coworkers’ desks or making small talk with his colleagues. Parts of the novel also seem like a commentary on how society treats people who may be mentally ill. There is one scene with a psychiatrist, who is surprised to learn his patient doesn’t want sick leave from work, repeatedly says, “It’s going to be hard for me to help you if you don’t say anything,” and finally accuses his patient of “putting it on.” And for all of the novel’s focus on Björn, at times it seems that the real hero is Karl, Björn’s compassionate, jovial boss who is often forced to be firm when he’s backed into a difficult situation. At under 40,000 words, The Room is more of a novella than a novel. However, its length is a benefit and serves as a great example of why more fascinating novella-length works such as this need to be published. It leaves a disproportionately large impact that will be reflected upon for a long time after the book’s been returned to the shelf.